Breaking a tooth or chipping it when eating something hard can be unnerving. After all, teeth are meant to be strong and last a lifetime, right? But sometimes accidents happen. In other cases, sometimes a wayward cavity can lead to extreme tooth decay that weakens structure. The good news here is that breaking, cracking, or chipping a tooth doesn’t always lead to removing the tooth. You have a number of options available to you. The first step is to meet with your dentist as soon as possible so that the damage doesn’t lead to further complications. The procedure or treatments they suggest will depend on the degree and severity of the fracture. For patients in Palmer, Wasilla, and surrounding Alaska locations, visit restorative dentists at Meridian Dental. We even offer evening and Saturday dentist hours to get you in sooner! Our dental office also provides emergency services when broken teeth needs to be treated immediately. For current patients needing an emergency dentist, reach us at (907) 312-5604. Biting down hard or eating the wrong kind of food can cause small cracks, especially if the tooth is already vulnerable from decay. Many small cracks can be repaired by filling them with a composite resin, or coated with a sealant if the cracks are minor and on the tooth’s surface. Other cracks may need a little extra protection to keep the fracture from extending deeper. Sometimes a dental crown may be placed on top of the tooth, safeguarding and strengthening it. At Meridian Dental, we can provide patients with same-day crowns, or custom tooth crowns that are molded and sculpted right in our office during a single appointment. This can protect a sensitive tooth sooner to help prevent additional complications and so less damaged is incurred. 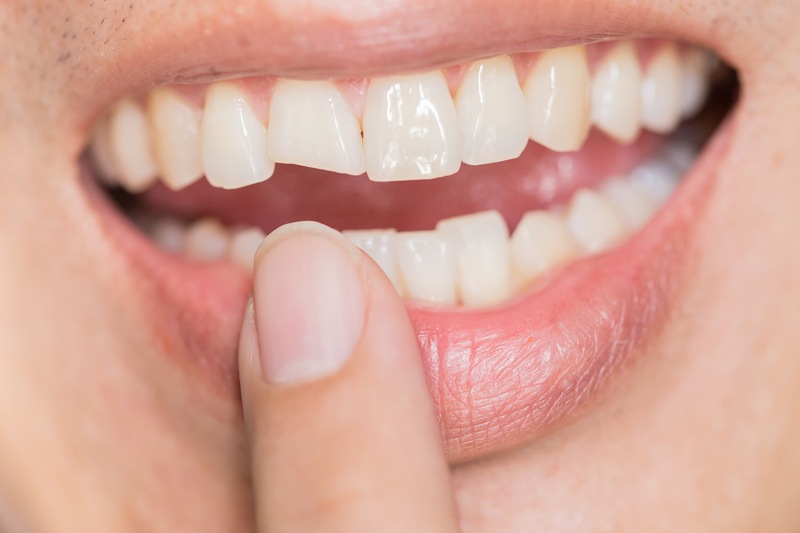 Chipped teeth are more easily noticeable on a patient’s front teeth. 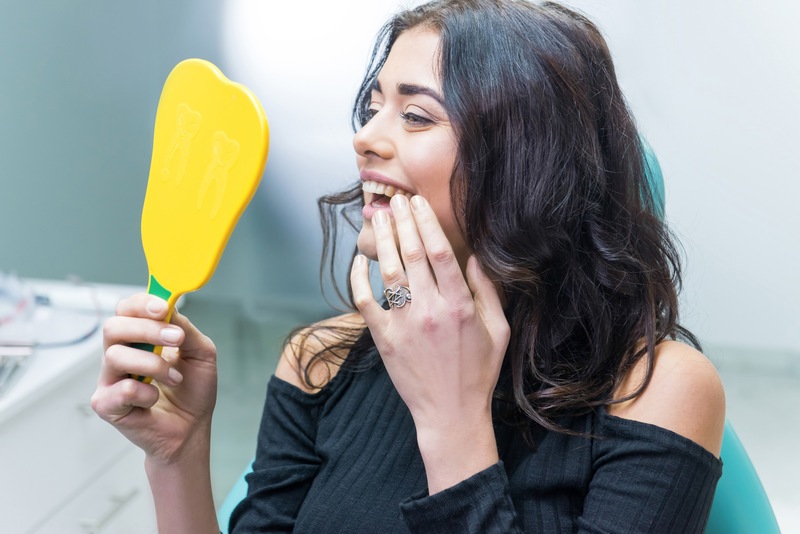 But because chips usually only alter the tooth’s top layer without reaching more sensitive layers of your teeth, they may be harder to detect, especially on back teeth. Our dentists can easily smooth down the area where small chips are found and reconstruct the tooth with a composite filling. Since most chips don’t affect the structural integrity of your tooth, a dental crown probably won’t be necessary. Major fractures could be a different story. If the area is bleeding, apply gauze and pressure to stop the bleeding before meeting with your dentist. A part of the tooth may have completely fallen off or may be hanging on to the root and remaining tooth. The danger with large breaks is when they reach the tooth’s roots. Generally, you should recognize when this happens by feeling a sharp pain or sensitivity in the area. A root canal may be necessary if the tooth has become infected. Again, a tooth crown may help these fragile teeth from breaking even more and needing to be replaced. With all the technology available to our dentists today, we can fix broken, chipped, and cracked teeth sooner with advanced solutions that resemble natural teeth. Composite fillings and tooth crowns are almost indiscernible next to your other teeth because the matching is so precise! Because same-day crowns are custom for each individual, they won’t feel awkward or bulky in your mouth either. If you have a broken, chipped, or cracked tooth, schedule an appointment with our dentists today! Each of these damages can be restored without much difficulty so that you can continue to smile confidently. Meet with our Wasilla dentists to learn more.